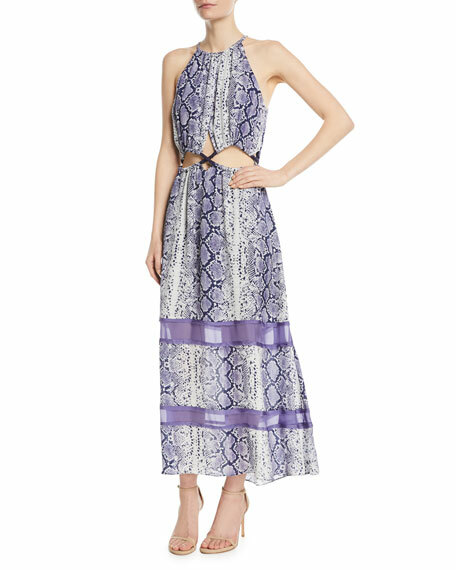 Ramy Brook "Norina" snake-print silk dress with mesh inserts. Cutout waist with braided tassel ties. 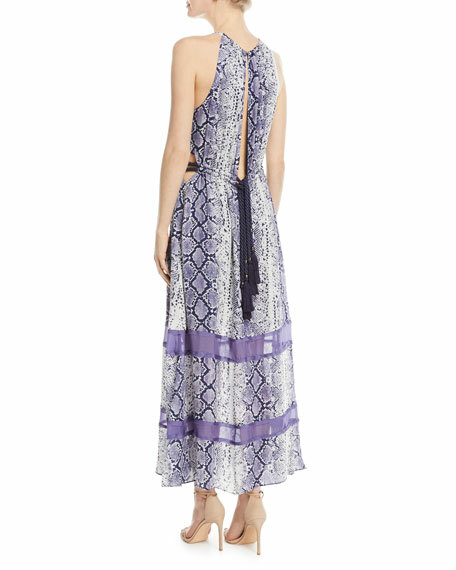 For in-store inquiries, use sku #2524929.